Desc: Landstrom's Black Hills Gold Sterling Silver Pine Cone necklace. 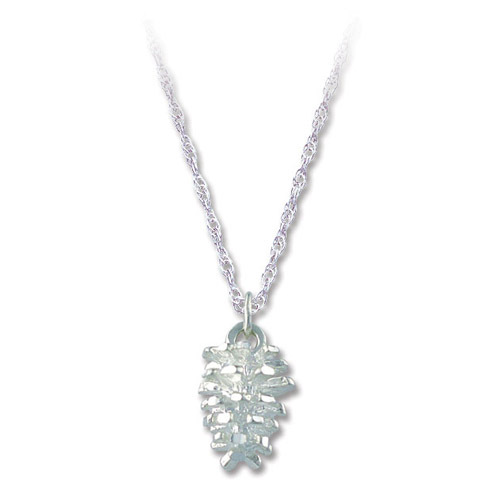 The Pine Cone is Sterling Silver. This is a great gift for the environmentalist or nature lover or hiker or holiday decor.